Dry Needling is a western term for the insertion of a fine filament needle into a muscle in the region of a myofascial trigger point to relieve pain and muscle tension. Trigger points are hyper-irrritable, taut bands of muscle and these can cause the tissue to become shortened, tighten or spasm. This can cause postural and chronic pain problems. 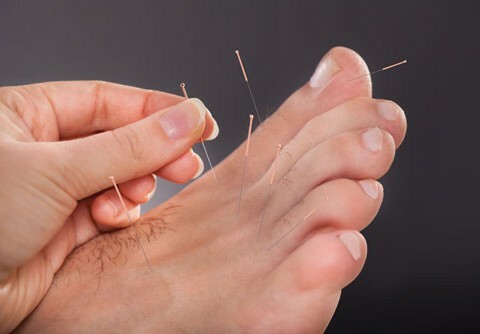 Dry needling can also be applied superficially in the skin for many chronic pain conditions such as osteoarthritis and peripheral neuropathy. The insertion of a needle into the skin is thought to stimulate a local inflammatory response, which ultimately interrupts the transmission of pain signals in the nerve, thus decreasing painful symptoms.